A grandiose Skyline Country Club Estates home with mountain, golf course and sprawling city views. Enter the spacious home with a large 3 car garage through the elegant courtyard into the grand foyer. Revel in all this home has to offer. Chalk your cue in the billiard room or enjoy the city views while enjoying the wet bar in the formal living. The formal dining room, open kitchen, pool, built-in bbq and covered patio create the ideal atmosphere for entertaining. 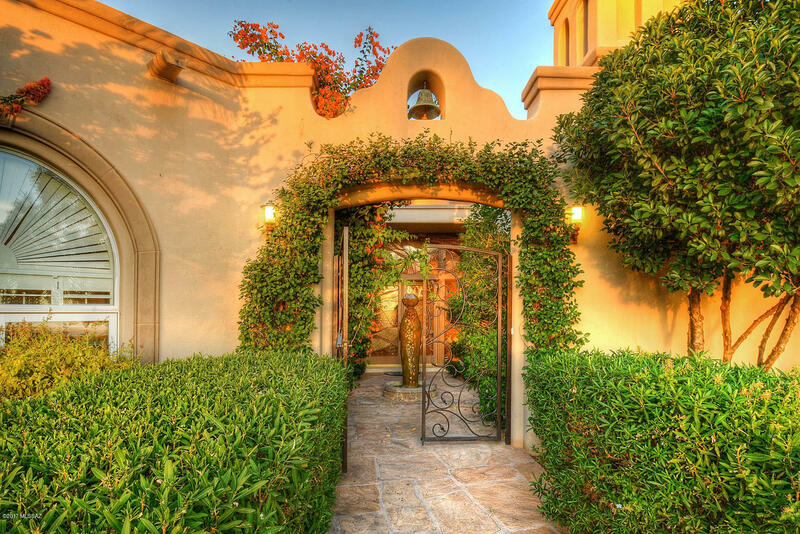 Enjoy this golf course front home as you unwind in your private backyard. Retreat to the master bedroom that has it's own fireplace as well as a sitting area or study. The split floor plan enables tranquility and privacy. This beautifully landscaped exquisite home is walking distance to the country club, tennis courts and golf. Directions - Swan north to Skyline CC entrance. Go through gate to address.